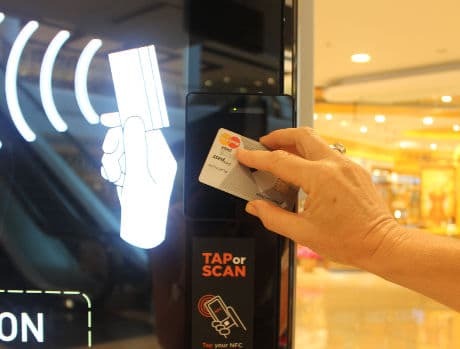 Consumers in shopping centres across Australia can now donate to veteran support group Walking Wounded by tapping a contactless card against advertising screens that have been activated for payment by out-of-home media provider oOh!media. “The technology, in oOh!’s Excite screens located in major shopping centres throughout Australia, will allow Australians to make a $1.99 donation to the charity with a tap of their card,” oOh! says. “The Tap Payment Excite retail panels are located in major shopping centres across Australia including Chatswood Chase, Indooroopilly, Chadstone, Myer Centre and Garden City Booragoon. “We hope the level of engagement we have seen since starting our awareness campaign will translate into raising enough money to fund mobile support teams, consisting of older and experienced veterans in every state and territory, who will provide help for contemporary veterans returning from war,” adds Brian Freeman, CEO and founder of Walking Wounded. Barclays enables Apple Pay support?